Concrete bird baths are popular items for yards and gardens. When purchased, these bird baths are typically unstained or painted -- which is how many individuals leave them. What many people don't realize, however, is that these plain, concrete bird baths can attain a higher level of beauty and character through a simple staining process. Depending on the stain color and the technique used to apply the stain, the bird bath can take on the appearance of marble, natural stone or stained wood. Enhance the look of a concrete bird bath with stain. 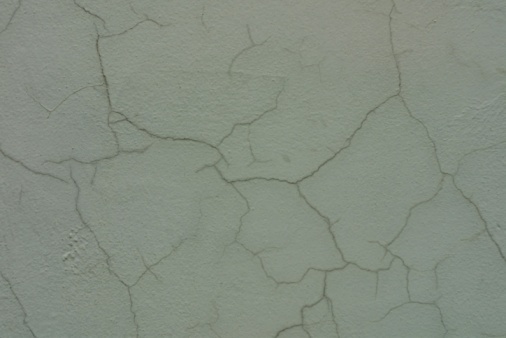 Determine if the concrete can be stained by checking the porosity of the material. In order for the stain to absorb into the concrete, it must be free from water-repellent coatings such as glue, sealers or other coatings. An easy way to test whether a bird bath can be stained, is to pour water over the concrete surface. If the water beads up and rolls right off the concrete then the stain won't be able to penetrate the surface effectively. Inspect the concrete surface for chips, cracks and other faults. Because staining will enhance the imperfections in the concrete -- not mask them -- it is important to make the surface as smooth as possible prior to beginning the staining process. This involves filling large cracks with concrete glue and letting it sit until the glue is completely dry. Once the glue has set, apply anchoring cement to the crack and let dry. Once you've filled all of the large cracks, scrape off any excess cement and sand it down until the surface is smooth. 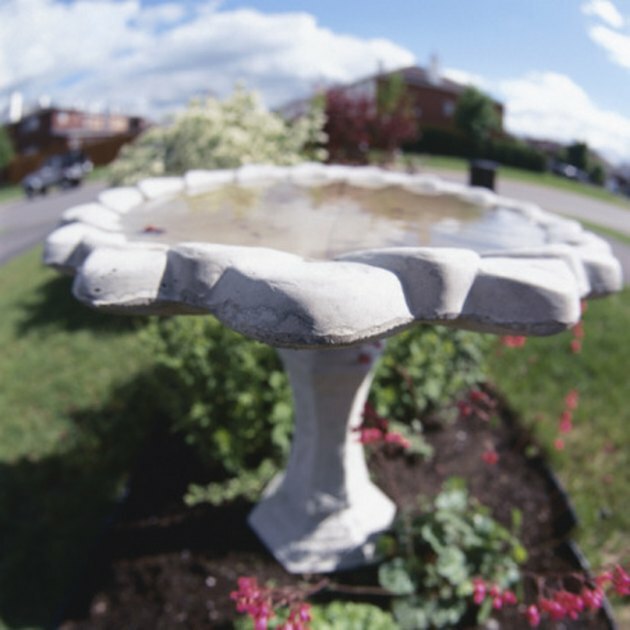 Clean the bird bath thoroughly to remove dirt, debris and grease. This is particularly important if the bird bath has been sitting outdoors for a season or more. Before cleaning it with a chemical cleanser, sweep the concrete to remove loose dirt and debris. The type of cleanser you use to clean the concrete depends mostly on what you are trying to remove. For general, all-purpose cleaning, trisodium phosphate is an effective choice. Mix 1 cup TSP in 4 gallons of water and scrub the concrete bird bath completely. Allow it to dry thoroughly. For best results, let it dry overnight. Test the stain on an inconspicuous area of the bird bath, such as underneath the base. Because stained concrete results from a chemical reaction, this test will ensure that you are pleased with the color prior to applying the stain to the entire bird bath. Once you stain the test area, allow it to sit for at least three hours. Once the stain has had a chance to react with the concrete and dry, you will have a good idea as to what the bird bath will look like when it is complete. Try several types of stain if necessary and select the color that you like best. Dilute the acid concrete stain in water, using a 1:1 ratio. Pour the acid stain into a clean spray bottle. Spray the concrete surface of the bird bath liberally, being sure to create even coverage. Allow the stain to react with the concrete, as outlined in the manufacturer's directions of the acid stain you are using. Clean the bird bath with a mixture of baking soda and water to neutralize the reaction. Repeat this step one or two more times, allowing the concrete to dry thoroughly between cleanings. Allow the bird bath to dry overnight. Apply sealant to the concrete bird bath with a paintbrush to protect the stained finish and to bring out the true color of the stain. Make sure you choose a sealant that is designed to work with the acid stain you used on the concrete. After one or two coats of sealant, the staining process will be complete.